As we grow older, there are many of us who think back and regret not doing certain things while we were young. There are activities or decisions that we can’t make now because it’s too late, or we don’t have the time or energy. I’m sure many of you are thinking about skydiving or some other thrill seeking adventure, but I’m talking about purchasing life insurance! While it may be more beneficial to purchase life insurance when you are in the prime of your career, purchasing life insurance after you retire can still have plenty of benefits for you and your loved ones. Don’t regret not purchasing life insurance when you were younger, instead think of all the reasons you should get insured now. 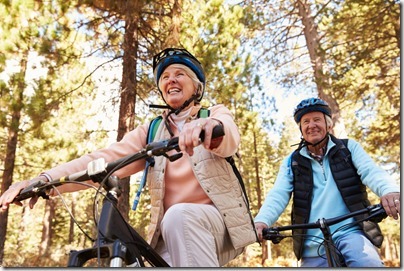 If you find yourself asking the question, “Should I Buy Life Insurance in My 60’s?” The answer is YES! In the event you or your spouse passes away, will you still receive enough income in retirement funds to support yourself? With rising medical costs, chances are that you are going to need some help. Purchasing a life insurance policy to supplement your retirement funds should be a top priority. It’s no secret that funeral costs can be outrageously expensive. So much so that many people can’t afford to die because their loved ones are left with the costs, sometimes ranging as high as $20,000+. Having life insurance can erase the financial burden that is left on your family if something happens to you. Debt follows us everywhere, and we pass away, it is then left to our loved ones. Don’t let your loved ones be responsible for your debts. Giving money to charity and those in need is always a good way to make us feel good. Have you considered leaving an important charity or organization the benefit of your life insurance policy? There aren’t many more honorable ways to leave a legacy than that. As stated before, debt collectors will go after your loved ones to pay off any debt you leave behind. One of the many great things about a life insurance benefit is that creditors cannot go after any of the benefits that are received, which is a great way to protect your loved ones. Do you currently take care or support a family member or friend in need? What would happen to them if something happens to you? Make sure they will continue to be taken care of, and have enough money to support the care they need. If you are planning to set aside some money for your grandchildren, consider purchasing a life insurance plan and making them the beneficiaries. If you are fortunate enough to have grandkids, there is a good chance they will need some sort of inheritance to pay off student loans, put a down payment on a house, or have more savings for a rainy day. While many people have a goal of paying off their mortgage before they retire, not everyone has that ability. If something were to happen to you or your spouse, would you be able to pay off the mortgage with the loss of income? Having a life insurance plan to cover the remaining balance of your mortgage is something everyone should consider. Many of us would like to leave a legacy to our offspring, and that can come in many different ways. For some it can be inheriting the family business or being left the family home. For others it means leaving money behind to our loved ones. A proper life insurance policy can make sure there is enough money to go around to everyone. As if there aren’t enough taxes we already have to pay, there is a tax people must pay on inheritance. Set up a policy to cover the amount that your beneficiary would have to pay in taxes, after all life insurance benefits are tax free. You may also want to consider leaving money behind to your loved ones through a life insurance policy for this reason as well. If you are interested in purchasing life insurance, or have any questions, we’re here to help! Please contact us today at 954 828 1819 or visit mhginsurance.com. We have the insurance specialists to assist and advise you on the best coverage for you and your loved ones at every stage of life. If you find yourself asking the question, “Should I Buy Life Insurance in My 60’s?” The answer is YES! So, let’s get to know Katherine Pajor! Katherine was born in Budapest, Hungary. At the age of 10, she, with her family, left then-communist Hungary to emigrate to the United States. She sympathizes with refugees, since she herself was one for 6 months in an Italian refugee camp while awaiting her admittance to the US. New York City became her new home during her formative years. Katherine graduated from Baruch College of CUNY with a Bachelor’s in Accounting. She has an extensive background in her field, with work experience in several different industries in companies both large and small. These were in hospitality and travel, manufacturing and now insurance. In addition to accounting, Katherine also has experience in real estate. While on a career leave to raise children, got a realtor’s license. 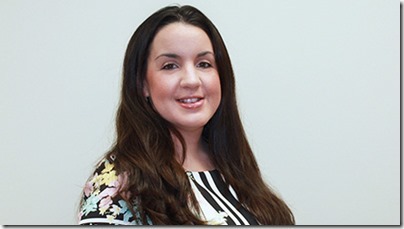 Katherine was hired in September of 2012 as a Senior Accountant. She was later promoted to Controller in August of 2014 which is the position she currently holds today. 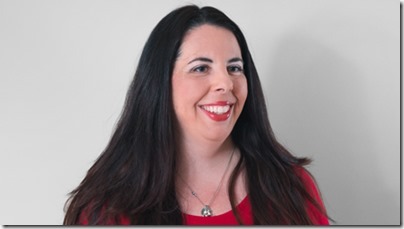 Since joining MHG, Katherine has been a key member of the company, and has helped MHG achieve numerous goals. A mother of three, Katherine comes from a very close knit family who believe in integrity, personal accountability, and keeping it real, which coincides with one of her favorite sayings, “Say what you mean, and mean what you say.” She also loves humor and sarcasm. In her spare time, Katherine enjoys catching up on the latest TV shows such as Game of Thrones, Breaking Bad, and Ray Donovan. 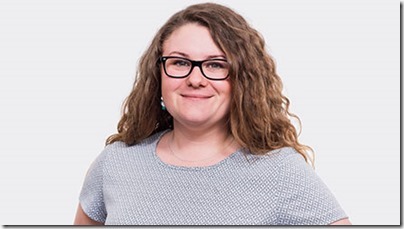 Let's get to know MHG's Controller, Katherine Pajor! If you are a small business owner or an employee of a small business (with up to 50 employees) and you have watched the news lately, read a newspaper or browsed the internet, it is very likely that you have seen the numbers and increases that have occurred regarding the Affordable Care Act health insurance plans for 2017. Open enrollment for individuals and families began Nov 1st, and people around the country are scratching their head wondering why their insurance prices are increasing again and again. In addition to rising costs, people are also learning that there are less and less plans, and some are being forced to change doctors who they have had a relationship with for many years due to changing networks. If you’re a small business that doesn’t offer an employer sponsored plan, chances are you should consider group health insurance, today. 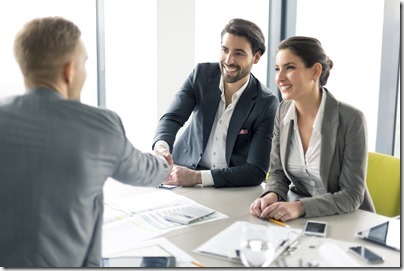 For one, many businesses that are less than 50 employees give their workers money toward insurance every month, however the employee must find their own insurance. With the state of individual health insurance plans, that idea just may no longer be feasible. Starting a small group plan could lower employee’s insurance costs depending on the plan you select, and how much your employer contributes. Another aspect we have seen is that there are fewer individual insurance plans to choose from. A few years ago, there were dozens of different plans and multiple companies you could choose from, whether you wanted a HMO (Health Maintenance Organization) or PPO (Preferred Provider Organization). With group insurance, plan options are many, and as a new group, open enrollment means that your group can enroll anytime throughout the year without the restrictions one has with Individual coverage. If you are the decision maker of your business, you could be thinking “What benefit do I have offering insurance to my employees?” While you are required to pay 50% of your employees premium if you offer a group plan, there is a chance you are already giving them money to find their own plan. Why not provide quality benefits and not pay more than what you may be providing your employees to get their own insurance? Another aspect to consider is that happy and healthy employees are important to the success of your business. Making this change could create a loyal workforce who are more willing to go above and beyond for their employer. If you are the decision maker of a small business and are curious about small group insurance, contact us at 800-817-5598 or emailing domesticsupport@mhginsurance.com. Even if you are an employee at a small business who is struggling with finding affordable individual health insurance, present this to your company to see if this is something they are interested in. Remember, our team of insurance specialists are here to help and answer any questions or concerns you may have. For more information about job based benefits, read our previous blog, “What You Need to Know about Company Sponsored Insurance Benefits”. Sometimes there are things in your plan that you don’t understand, or words that you have never heard before. Your well-being is important to us, and part of that is making sure you are properly taken care of. Our insurance specialists have the knowledge and experience to assist and guide you, your family, or group to the best coverage for your budget. If you are interested in purchasing a disability plan, health insurance, or life insurance, contact us at mhginsurance.com or call us at +1 954 828 1819. If you’re a small business that doesn’t offer an employer sponsored plan, chances are you should consider a small group insurance plan. FORT LAUDERDALE, FLORIDA (November 3, 2016) – MHG Insurance Brokers announced today that Michelle Rollins has joined the Business Insurance Division to provide administrative and customer service support for the company’s property and casualty clients in addition to quoting workers’ comp, errors & omissions, and general liability business. Rollins has spent over 10 years in the business insurance market in South Florida working in various positions. Prior to joining MHG, Rollins worked at a brokerage as an Account Representative where she provided sales and customer service, policy renewals, late pays and rewrites for over 4,500 clients in addition to training new employees. The Business Insurance Division specializes in hard to place insurance coverage for businesses with unusual or difficult risks, high losses, lapses in coverage or dangerous exposures. Most recently, the Insurance Specialists at MHG identified a potential liability risk for cruise line operators and designed a new liability plan to fill the gap in coverage. Established in 1991 in Miami, Florida, MHG Insurance Brokers is an independent, global, full service insurance brokerage and consultative facility. Through its extensive relationships with international underwriting markets, MHG develops and provides a full range of employee benefits, risk mitigation programs, business insurance and financial services all supported by comprehensive attention to service support for all of our clients. In the marine community, MHG is well known for its expertise in the Maritime Labour Convention (MLC 2006) and developing MLC-aligned crew insurance solutions. In the U.S., MHG provides group and individual employee benefits along with advice on federal regulations regarding Health Care Reform and the Affordable Care Act. For more information about MHG Insurance Brokers and the services we provide, please visit www.mhginsurance.com. MHG Insurance Brokers announced today that Michelle Rollins has joined the Business Insurance Division. In case you haven’t heard, MHG is celebrating its 25th anniversary this year! Can you remember when you turned 25? You probably felt like time had flown by, and yet you were still ready to take on the world, which is exactly how we feel! A lot goes into a business achieving and maintaining success, so this year we are toasting to 25 years of excellence. Reaching this milestone is no small feat, so join us for a stroll down memory lane as we remember how MHG first began, where we are today, and the next 25 years. After all, you can’t know where you are going until you recall where you have been. MHG was launched in 1991 in Miami, Florida when founders Andrew Dudzinski and John Haagensen saw that due to industry growth and ensuing competitive pressures, cruise lines needed new ways to attract and retain their officers and crew. Andrew, with particular expertise in expatriate insurance programs and John, a former seafarer and practicing insurance agent, saw the solution in creating and providing customized marine employee benefit plans. Andrew and John combined their extensive experience and contacts to convince the industry that marine crew are better motivated, remain more loyal, and work more safely when a benefit plan is provided as part of an employment package. While hesitant at first, the cruise lines listened and soon benefit plans were implemented by many lines and in due course by other marine industry sectors, such as luxury yachts and commercial shipping. As a result, a growing number of marine crew and their families are now able to enjoy the benefits of health, disability and life insurance plans and at the same time, marine industry employers have gained new and valuable attraction and retention incentives. MHG Insurance Brokers is now recognized in the marine industry as a unique resource for developing innovative crew insurance programs for the world’s leading cruise lines, prestigious luxury yachts and other shipping and marine businesses around the globe. Headquartered in Fort Lauderdale, Florida, MHG has offices and representation in the Isle of Man, London, Hamburg, Monaco and Houston to better serve clients and support the continued development, acquisition and servicing of marine clients on both sides of the Atlantic. Throughout the years, MHG has seen fit to expand its portfolio of products outside the marine industry but has always remained focused on its core business in providing crew insurance advice and solutions for vessel owners, operators, management companies, captains and crew worldwide. Today, MHG counts as its clients a total of 18 cruise lines, representing some 40% of the most prominent lines and more than 450 luxury yachts, including 20% of the world’s 200 largest yachts. While MHG has successfully introduced and encouraged the industry to adopt customized benefits for people working at sea, our work is not done. MHG will continue to be at the forefront of developing and implementing a full range of innovative benefit and welfare incentives and risk management solutions, all designed specifically for the marine industry and making the industry a better place to work and live. Let’s raise a glass to the next 25! Here at MHG Insurance Brokers, we offer a variety of different insurance solutions for many areas of business. From yacht crew insurance, to general liability and marine general liability coverage, individual and group health insurance, even life insurance, we offer a number of products to cover you, your family, or business. To see some advice directly from our team of insurance professionals, read our previous blog, “If You Could Give One Piece of Advice to Your Clients, What Would It Be?” If you are interested in purchasing marine crew insurance, contact us at mhginsurance.com or call us at +1 954 828 1819 or +44 (0) 1624 678668. Our insurance specialists have the knowledge and experience to guide you to the best coverage for your budget, and can also assist you with any insurance questions you may have. In case you haven’t heard, MHG is celebrating its 25th anniversary this year! Can you remember when you turned 25 years old? The Fort Lauderdale International Boat Show is the biggest boat show in the world, and attended by everyone who is anyone in the yachting industry. With the Show being just a couple weeks away, people have already begun to arrive in Fort Lauderdale and starting to set up for the event. It’s almost here which means it’s time to start planning what you are going to do for the show. It’s no secret that one of the highlights of any boat show is getting to see some amazing yachts up close and personal. This is even more so at FLIBS which takes place in the yachting capital of the world! While you may not be able to go on-board these vessels, getting to see them in person can give you a new appreciation of the size of these boats, and offer a new respect for the entire crew that it takes to keep everything running in check. Below is a list of some of the top yachts, and our personal favorites, that are expected to be at the 57th Fort Lauderdale International Boat Show which takes place November 3-7, 2016. It should be noted that it is common for yachts to change plans at the last minute, so there is a possibility that some of these vessels may decide not to attend the boat show. Therefore, this list may not be 100% accurate at the time of the show. This 175-foot motor yacht was built in 2000 by Feadship. This vessel also went through a refit in 2014, and can accommodate up to 11 guests in 5 cabins. See her at The Sails Marine 206 - Sails #4 where she will be exhibited by Burgess, whose headquarters are in New York. “Huntress” was built by Feadship and her exhibitor is Merle Wood & Assoc. who are headquartered in Fort Lauderdale. The location of this 180-foot mega yacht will be HOF FD 32-35, 34A, 32A, 33A. This Hakvoort mega yacht was custom built in 2016, and is the largest Hakvoort yacht built to date. This vessel measures in a 200 feet, has 5 decks, and can accommodate up to 16 people! You can find her at HOF FD 22A, 27. “Party Girl” was built by Icon in 2010 and measures out to be 205 feet long. This super yacht can accommodate 12 guest and 16 crew members. She will be exhibited by Norhtrop & Johnson whose headquarters are in Fort Lauderdale. See her at HOF FD 34-47. Last but not least on our must-see list is “Apogee”. The 205 foot “Apogee” was built in 2003 by Codecasa. See her at HOF FD 32-35, 34A, 32A, 33A where she will be exhibited by Merle Wood & Assoc. Make sure to be on the look-out for the MHG Team as they will be at the Fort Lauderdale International Boat Show helping anyone who has questions regarding their crew insurance! 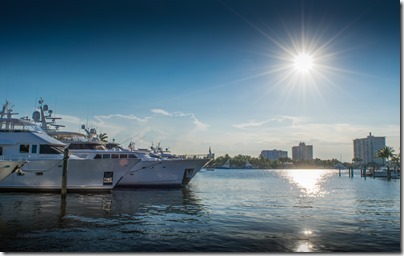 If you are in Fort Lauderdale for the Show and are looking for something to do, read out previous blog, “10 Things to do in Fort Lauderdale While in Town for FLIBS”. Our Insurance Specialists have the knowledge and experience to offer advice or help select the best insurance plan for your needs. Whether you are in need of travel insurance, yacht crew insurance, or life insurance, visit mhginsurance.com or call +1 954 828 1819 or +44 (0) 1624 678668 for help in selecting the plan that fits you best. Safe travels! The Fort Lauderdale International Boat Show is almost here, which means you should be on the lookout for these yachts! 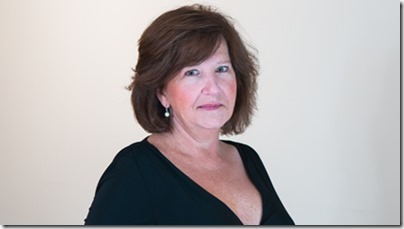 So, let’s get to know the person that runs the show at our Fort Lauderdale office, Sheree Lynch! Sheree worked in the cruise industry for many years before joining MHG. She served on board ships and was one of the first few female Hotel Directors on board Princess Cruises vessels. After finishing her career at sea, Sheree began shore side management for two cruise lines where she was responsible for the onboard hotel operation. At one point Sheree also was the co-owner and co-proprietor of The Manor Hotel. The Manor Hotel was a sixteenth century manor house, situated in West Bexington which is a small village about 400m from the most western point of Chesil Beach in Dorset. Chesil Beach is part of the 95 English mile coastline known as the Jurassic Coast. Abbotsbury is a neighbouring village to West Bexington and world famous for its swannery which supplies quills to Lloyds of London. Sheree joined MHG in 2006 as Director, Cruise Division. Due to her extensive and illustrious career in the cruise industry, this position was perfectly suited for her. She played a key part the growth of MHG’s Cruise Division, and held that title until April 2014 when she was promoted to Director, Operations which is the position she currently holds today. Sheree enjoys working out in her off time by doing Pilates, TRX and walking on Fort Lauderdale beach. Originally from England, she is also a keen rugby supporter and a huge fan of Harlequins and the England National rugby team. Sheree also supports various veterans, children’s, and animal charities such as ASPCA. It's time for you to get to know the people that make MHG Insurance Brokers so great! The Monaco Yacht Show is here and is viewed as one of the year’s most highly anticipated, exclusive trade show events in Yachting. Known for attracting some of the most powerful and wealthy people in the world, along with the top vessels from all over the globe, this year’s show promises to be a showstopper. From the 28th of September to the 1st of October, the Yachting industry will gather at Port Hercules. It’s no secret that one of the highlights of any boat show is to see some of the mega-yachts up close and personal. While you may not be able to go onboard, you can still appreciate how amazing some of these vessels are in both size and amenities. So if you are attending the show here are the top yachts to see! It should be noted that it is common for yachts to change plans at the last minute, so there is a possibility that some of these vessels may decide not to attend the boat show. “Okto” was built by ISA Yachts in 2014 and measures in at over 66m. This mega-yacht can accommodate up to 11 guests and 17 crew members. See her at T CENTRAL T41 where she will be displayed by Moran Yacht & Ship. This vessel measures in just over 70m, and was built by Lurssen in 2008. This yacht offers the amenities of a five-star hotel, including a gm, endless pool, and a movie theater. She offers 7 luxurious staterooms that can accommodate up to 18 guests and a crew of 15 people. See her at QUIA RAINIER IER R03 where she will be displayed by IYC. This vessel was built by Heesen Yachts in 2016 and is the largest Heesen to date measuring at just over 70m. She has an impressive top speed of 30 kt and combines that with low range and low fuel consumption. See her at QUAI RAINIER IER. “Enigma” measures in at just under 75m. Built by Blohm & Voss in, this mega-yacht can accommodate 15 guest and 21 crew members. See her at QUIA RAINIER III D03 being displayed by Edmiston & Company. This beautiful 76.6m mega-yacht was built by Amels in 1999, and received touch ups in 2016. The largest yacht on this list, she offers unique features such as a guest elevator, salon, cinema, and new interior. See her at QUAI RAINIER IER R04 being displayed by Fraser Yachts. “Coral Ocean” was formerly “Coral Island” and is one of the first masterpieces of the late interior designer, Jon Bannenberg. This vessel was built in 1994 by Lurssen and has only been used privately. There are 21 cabins onboard to accommodate 12 guests and 27 crew members. See her at T CENTRAL T05 being displayed by Lurseen. 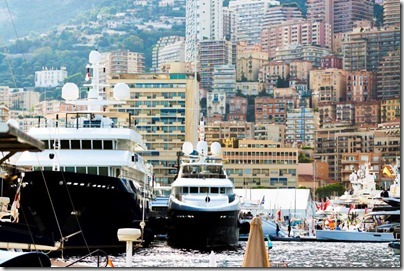 Make sure to be on the look-out for the MHG Team as they will be at the Monaco Yacht Show, helping anyone who has questions regarding their crew insurance! If you are in Monaco for the Show and are looking for something to do, read out previous blog, “5 Things You Must Do While in Monaco”. Our Insurance Specialists have the knowledge and experience to offer advice or help select the best insurance plan for your needs. Whether you are in need of travel insurance, yacht crew insurance, or life insurance, visit mhginsurance.com or call +1 954 828 1819 or +44 (0) 1624 678668 for help in selecting the plan that fits you best. Safe travels! The Monaco Yacht Show is almost here! Be on the lookout for some of these megayachts. DOUGLAS, ISLE OF MAN (September 15, 2016) – MHG Insurance Brokers announced today that Emma Bell has joined the company’s European office as Underwriting and Claims Assistant, reducing response times for new proposals and claims enquiries. Bell joins MHG with an extensive background in the insurance and financial industries, having worked for various insurance companies in a number of different positions. Most recently, Bell worked as an Underwriting Support Technician where she performed risk management assignments, maintained records, and supported upper level management with allocation of tasks. MHG’s Isle of Man office opened in 2009 with a remit to capitalise on opportunities from within the yacht sector as well as increasing the licensing reach of MHG globally. To date, the Isle of Man office is responsible for obtaining and administering over 35% of all business for the company’s Yacht Division. MHG Insurance Brokers announced today that Emma Bell has joined the company’s European office as Underwriting and Claims Assistant. 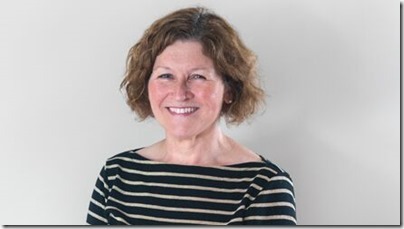 So, let’s get to know Sandra Heminger! Prior to working for MHG, Sandra was the Personal Lines Manager for Bateman, Gordon and Sands, and prior to that was the Agency Operation Manager for People’s Trust. Her prior work experience in commercial and personal lines sales and underwriting made her a top candidate for MHG. Sandra has always been involved in rescuing animals, and has rescued three Thoroughbred horses this year alone. She is very dedicated to bringing awareness to the abuse of animals, especially in the South Florida area. She also volunteers with Abandoned Dogs Project in the Redlands which helps to feed and rescue dogs that are dumped there by their owners. She and her husband also volunteer as foster parents for A Way For A Stray, which is a local rescue that takes on some of the most difficult dogs that need medical and behavioral rehab. Lastly, Sandra is also a big supporter of HiCaliber Horse Rescue, who save horse from being shipped to slaughter in Mexico. Outside of work, Sandra mainly spends time with her family and their seven horses. She has been rescuing horses with her sister since they were kids. She and her husband also enjoy boating and fishing. It's MHG's 25 th Anniversary, which means you should get to know us!